Dr. Bentley James. 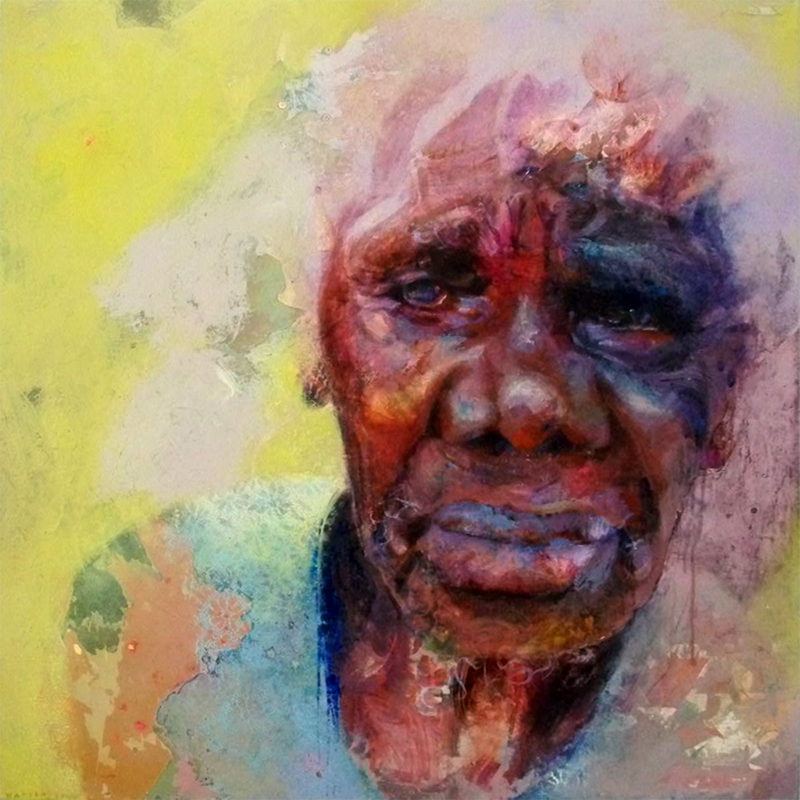 Laurie Baymarrwangga – Voice of the Land. (Australia: the Vatican Ethnological Museum collection). With: K. Aigner, (editor), CittaÌ del Vaticano : Edizioni Musei Vaticani, A.N.U Canberra. Dr. Bentley James (University of Cologne). Learning on Country for Galiwinku students. Social media: Twitter, Instagram, YouTube. Prof. Boris Braun (University of Cologne). Global typology of hub airports landside development. With: Prof. Douglas Baker (QUT). Funding: DAAD/ATN. Dr. Simon May (University of Cologne). Cyclone-generated washover sediments and landforms of Western Australia. With: A. Scheffers (Lismore, Australia), D. Kelletat (Cologne), M. Leopold, N. Callow (Perth, Australia). Participating scientists in working group: M. Engel, D. Brill, H. Brückner, A. Pint. Funding: DFG. More information: http://www.geographie.uni-koeln.de/14291.html. Dr. Eva Bischoff (University of Trier). Colonial Violence and Pacifism: Quaker Life and Ideals in Australia, c. 1830-1860. Habilitation Project. Prof. Dany Adone (University of Cologne). Sign Languages of Arnhem Land. With: Yalu’ Marŋgithinyaraw Centre, Charles Darwin University, NAILSMA and Ranger Programmes in several communities. Prof. Dany Adone (University of Cologne). Miriwoong Sign Language. With: Mirima Dawang Woorlab-gerring Language and Culture Centre, Kununurra. Dr. Melanie Brück (University of Cologne). Language Contact in the Pacific. Habilitation Project. Prof. Dany Adone, Dr. Melanie Brück (University of Cologne). Kununurra Kriol Grammar. With: Mirima Dawang Woorlab-gerring Language and Culture Centre, Kununurra. Christina Ringel (University of Cologne). Possession in Miriwoong, a non-Pama-Nyungan language of Western Australia. With: Mirima Dawang Woorlab-gerring Language and Culture Centre, Kununurra. Dissertation Project. Prof. Beate Neumeier (University of Cologne), Prof. Paul Arthur (Edith Cowan University), and team. Migrant and transnational identity-formation: German and Australian responses to migration and asylum seekers in the media and public discourse. DAAD collaboration 2018/2019. Dr. Katrin Althans (University of Duesseldorf). Stories of Refugees: Renegotiating Human Rights and Sovereignty in Contemporary Anglophone Literatures. Habilitation Project. Dr. Victoria Herche (University of Cologne). Mediating Migration in Australia. Habilitation Project. David Kern (University of Cologne). A Critical Study of Literary Environmental Activism in Indigenous Australian and Canadian Writing. Dissertation Project. Prof. Beate Neumeier (University of Cologne). World Literatures in Australia: Kim Scott and Alexis Wright. In preparation. World Literatures Series. Palgrave. Alice Ramneantu (University of Cologne). Ethics and the Construction of Otherness in Postcolonial Australian Fiction. Dissertation Project. Prof. Dany Adone (University of Cologne) and Dr. Bentley James. Bimodal Bilingualism in Arnhem Land. With: Yalu’ Marŋgithinyaraw Centre, Charles Darwin University and NAILSMA. Prof. Beate Neumeier (University of Cologne) Pacific Literatures and Performance Cultures: Ecocritical Perspectives. Prof. Boris Braun (University of Cologne). Coordinating sustainable airport landside growth within the urban fabric. With: Prof. Douglas Baker (QUT). 2014-2015. Funding: DAAD/ATN. Prof. Dany Adone (University of Cologne). Acquisition of Australian Kriol. 1994-1996. Funding: AIATSIS. Prof. Dany Adone (University of Cologne). EuroBabel project on Endangered Languages. 2009-2013. Funding: DFG. Victoria Herche (University of Cologne). The Adolescent Country – Re-Imagining Youth and Coming of Age in Contemporary Australian Film. Dissertation Project. Prof. Beate Neumeier (University of Cologne). German-Australian Theatre and Performance Art: Influences, Synergies and Tensions. With: Prof. Jacqueline Lo, Prof. Beate Neumeier, John Young, Dr. Kasia Williams, Arthur Wong, Sarah Youssef, Victoria Herche. Based on joint ANU Workshop, Melbourne October 2014.